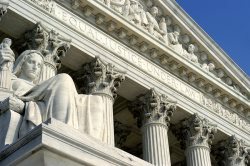 A 2011 Supreme Court ruling stating that federal discrimination law extended protection to employees simply affiliated with a person making a workplace complaint is finally generating fallout for human resource professionals. Before the Thompson v North American Stainless ruling, HR would review a checklist of traits to determine whether there was reason to work carefully to avoid retaliation lawsuits, for any time of disciplinary action. Protected classes included on such checklists would typically include: gender, minority, over 40, or on whistle-blower statuses. But the landscape post-Thompson requires the addition of another question to the list: who else is in the employee’s “zone of interest” that meets any criteria on the checklist? The definition of the term “zone of interest” is currently ambiguous and was created by the Supreme Court during the Thompson case. Most likely, people falling into this group would be spouses and family members who are employed by the same company. Casual acquaintances are almost certainly excluded but employees classified as “friends” are more difficult to fit into the definition. Some employment law attorneys are predicting new litigation that will define this “zone of interest” further to determine the inclusion of close friends and boyfriends/girlfriends into protected classes. The new ruling has changed the standard of qualifications for those classified as protected individuals. The new standard is looking to expand retaliation protections beyond the individual plaintiff to include close associates, family members, and partners. The complexity of the new legal environment may dictate additional training for HR departments that are interested in mitigating risks having to do with employment compliance.